Experience Points: EXP Podcast #142: A New Hope in The Old Republic? 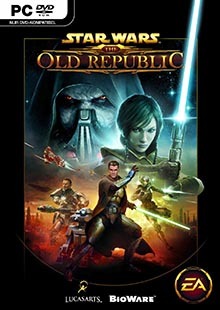 I haven't really enjoyed a Star Wars game since the old Xwing series (I both want them to remake those and fear them remaking those) and the first Jedi Knight. Although Rebellion (the MOO-style one) was strangely addictive. I missed KOTR at the time and find it difficult to go back to and enjoy post Mass Effect. KOTOR was excellent Jeremy, but you raise a good point. It's kind of hard to go back to sci-fi shooters of yester-year, particular one by Bioware, when we already have Mass Effect, what I consider to be a rousing success. With that in mind, it may actually be bad form to play any Star Wars game that doesn't break from the norm in some dramatic way. Games have a ton of sci-fi, many of them pretty good, what can Star Wars offer us we don't already have elsewhere? I have serious doubts any Star Wars endeavor could take the risks to plumb the expanded universes untapped riches. As a connoisseur of the Star Wars games I feel obliged to clarify the current assortment of the Lego Star Wars games. There are three. 3) Lego Star Wars III: The Clone Wars - Based on the cartoon series. Additionally (and I presume that's where the confusion is coming from) there is a "Lego Star Wars: The Complete Saga". However this is basically a compilation of the first two ones. Also, you guys made me actually curious for the MMO. Curses!